Obtaining child support can seem like a great victory that is meant to ensure the well-being of one’s children, but what happens when the person responsible to pay is in jail? 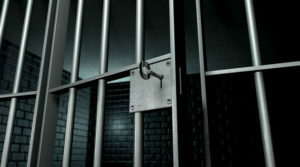 Incarceration in not an escape from a child support obligation. Yet, according to the most recent data from the Office of Child Support and Enforcement, of the 5.2 million people in the U.S. who owed child support in 2010, 662,000 were incarcerated according to a recent CNN article. Being an incarcerated parent with a child support obligation can be a financial nightmare. Child support payments continue to accrue creating arrears amounts that can be equivalent to the price of a college education. Tackling this debt is an obstacle for parents who are imprisoned and barely receive an income. The nightmare continues for those parents who manage to get out of prison and are faced with the reality of a limited job market. Even if they manage to find work, their minimal wages get reduced by their ongoing support obligation and the arrears. Not paying the child support obligation can have a range of consequences. It can lead to the suspension of one’s driver’s license, property seizure, and passport suspension. It can even appear as a negative factor in a credit report. Ultimately, failure to pay leads back to incarceration, where the debt amount continues to rise as the cycle continues. Custodial parents who aggressively seek back payment of child support may cause the child to lose both ways. The struggle of a parent who cannot get up-to-date with their debt because they cannot pay their current child support obligation and make a dent in the arrears, cause them to run for fear of imprisonment. Thus, the child loses any chance at financial support and the custodial parent is left with a court order that is essentially worthless. In New York, judges are given the discretion to reassess child support payments when a parent is jailed. The NYC Human Resources Administration, counsels inmates who are about to be released to inform them of the options available to help lower their debt. The organization has helped reduce child support debts by $69 million citywide. However, advocacy groups have been urging for a federal law that reclassifies incarceration as involuntary unemployment that would stop child support from accruing. This change may also allow the non-custodial parent to petition for a reduction in child support payments. Providing relief from the child support obligation while the parent is in jail, ensures that the parent will be able to resume the obligation once they get out. By safeguarding that the debt amassed by inmate is manageable, it affords the true injured party, the child, an opportunity to get the financial relief they need.